Tourists in Tunisia today came under attack when a number of gunmen opened fire outside a museum. 17 people were killed and a number of others injured in what became a siege ended only when police killed two gunmen. 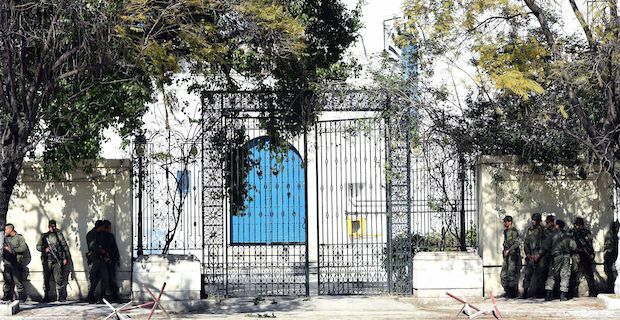 The incident took place at the National Museum in capital Tunis around lunchtime today. The Tunisian Foreign Ministry have confirmed that 22 tourists were injured during the siege and warned that 3 gunmen are on the loose after fleeing the scene. Tunis is a popular port of call for cruise ships and it seems that the majority of the tourists murdered had disembarked from cruise ships a little earlier in the day. The attack was condemned by the Tunisian Prime Minister Habib Essid who said "It's a cowardly attack mainly targeting the economy of Tunisia, we should unite to defend our country." The victims were from a number of countries including Tunisia, Spain, Italy, Columbia, Poland and Germany. Prime Minister Essid is in no doubt that the attackers were looking to damage Tunisia's cruise trade saying "All Tunisians should be united after this attack which was aimed at destroying the Tunisian economy." An investigation is now being launched into who was responsible for the attack. It is possible that Islamic State were behind the siege as the group have gained a foothold in Northern Africa already in neighbouring Libya and a number of IS militant groups have popped up in Tunisia in recent months.